Key highlights – see pdf below for full programme. 18.30 H Lighting The Tree And Christmas Lights. 20 H Opening Of Municipal Bethlehem. Work of the nativity scene Jesús González Casado and recital of traditional Christmas carols by the Choir of The Rociera Brotherhood of San Antonio. At old town hall (entrance through bisbe Cardona street). 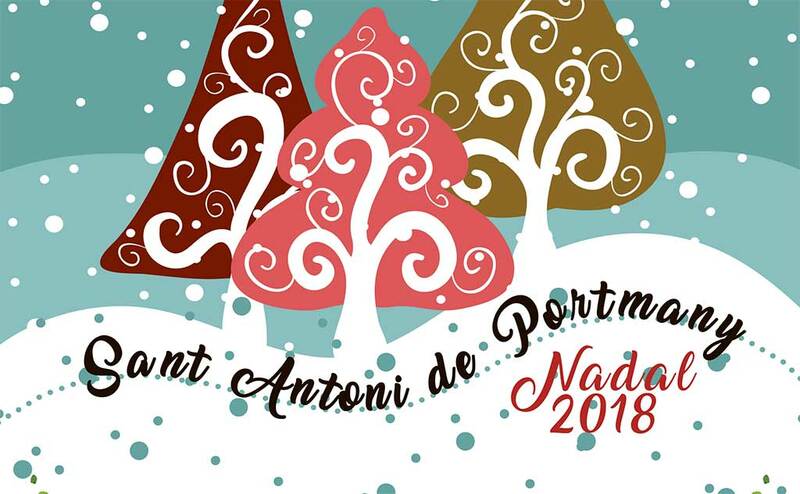 From 11 To 22 H Nadal Al ​​Carrer. On The C / Rossell, Christmas market with craft stalls, and children’s workshops and animation throughout the day. In the tent of the Passeig de ses Fonts. 10.30 AM Chocolate To start the day, Price: 2 euros. 11 H The Festival Of The Shows. With musical, artistic and gymnastic performances. 14 H Big Public Paella and drink for 6 euros. Sweet pastries selling all day, And savory, pizzas, sandwiches, pinchos and tapas. Second hand market, children’s workshops and many surprises. Evening Recital De Villancicos. Choirs of the municipality and guests in the church of Sant Antoni. From 9.30 To 13.30 H Espai De Nadal, for children from 6 to 11 years old. Prior enrolment required in the Youth Information Center from December 3 to 13 € 15 Limited places. 18 H The Festival Of The Elderly. Live music, ballroom dancing, tasting chocolate, nougat and sponge cake in good company. In the Club des Clot Marès. 17 H Christmas Children’s Party With the magician Albert and the visit of Santa Claus for delivery of the children’s letters. 11h Matinadal, activities for children from 4 to 13 years, workshops, games, video games, crafts, etc.